A bitcoin refers to a decentralized digital currency created and traded using a client. Bitcoins offer low cost easy payments from one party to another with no centralized agent like a bank, government agency, etc. Bitcoins are person to person, very low transaction fees (if any), your account cannot be frozen and there are no limits or prerequisites to owning bitcoins. Did we mention no banks are involved? Bitcoins are the perfect anti government, anti Fed, anti New World Order, anti Wall Street, anti everything. 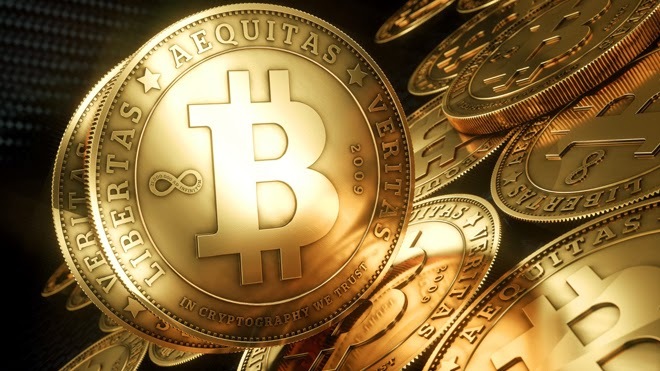 There is a finite amount of bitcoins which makes bitcoins secure from being devalued. This is in sharp contrast to how the US government uses “quantitative easing” and continues to print money to fund all sorts of endeavors. With increasing amounts of cash, the value drops. This isnt supposed to happen with Bitcoins. Bitcoins are anonymous (for the most part). Bitcoins are secure with strong cryptography. Bitcoin verifies transactions with the same state-of-the-art encryption that is used in military and government applications. Bitcoins are fully decentralized. Bitcoin is open-source. Nobody owns it. Think about that for a minute would you? The most popular client is maintained by a community of open-source developers. Bitcoins are essentially “mined” using CPU and GPU processing from peoples computers. The faster your system, the quicker you can mine for a bitcoin. And since there are technically a finite number of “coins” to be mined, the more you get the more wealth you create. There are ingenious ways of mining coins, such as using multi-core systems. The other way of obtaining bitcoins is through sending and receiving. You wash my car, I give you 1 bitcoin. No wait, i’ll give you 0.02 bitcoins. One of the real beauties of bitcoins is the anonymity of trading the coins and merchandise. While definitely not as anonymous as a pure cash transaction, bitcoins are still better than say other electronic payment systems (paypal, banks, etc). Good question. Nobody knows for sure. Bitcoins were created by a person who is named “Satoshi Nakamoto.” While the name sounds Japanese, Bitcoin’s creator never provided any personal details. In 2010 Satoshi reduced his involvement in bitcoins development. His last known communication was in 2011. We have no clue who Satoshi Nakamoto is, but he is probably an extremely wealthy man. Nakamoto passed bitcoin development on to Gavin Andressen, who is currently the project’s lead developer. Andressen now works under the auspices of the Bitcoin Foundation. That is bitcoin in a nutshell. Look for more of our bitcoin articles later today.